Ready For A New A/C Unit Installation? Is your air conditioning system costing you a trip to the bank? Or is it just simply frustrating you? Then its time for a complete system upgrade. When it comes to ac installation, choosing the system can be a hassle. At Mechanical Cooling, we offer a wide variety of systems to choose from, residential, commercial and industrial with SEER range from minimum to maximum at competitive rates.. You don’t have to break the bank. Our rates designed to fit any budget. At Mechanical Cooling, we provide a professional AC installation service that you deserve because we know how important your household comfort is. Our professional AC installation technicians can work with a wide variety of equipment. All our technicians undergo extensive training and take special effort to ensure that you receive the best service in the industry. Mechanical Cooling can improve your quality of life with outstanding air conditioning installation services. So, when you need a new AC installed, you can rely on us. Our quality air conditioning services are performed by trained technicians, each of them with years of experience in the AC industry. As experts in their field, they have enough experience with all type of AC units. They have seen all sort of problems, and they know how to fix them properly. 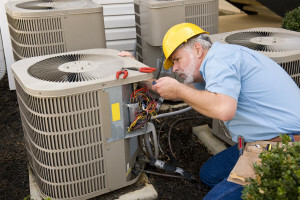 We are licensed and insured in sales, HVAC repair, and maintenance for all makes of cooling and heating equipment. We offer a selection of AC units that include models in all sizes and styles. We will help you to choose the best unit as we have in our selection Energy efficient and other equipment that meets or exceeds US EPA guidelines for energy efficiency. Call us today at 954-397-2527 or 561-594-3621 or visit quote Form and we will get back to you shortly. Call us today for your free no obligation quote!